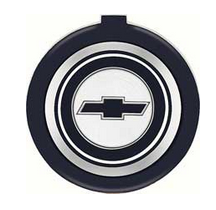 This is a 1971 - 1979 Nova horn cap center emblem. 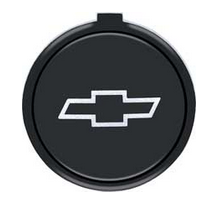 This emblems glues to the center of the Camaro horn cap. Several different styles available. This is a 1971 - 1979 Nova horn cap. Comes in black molded rubber This is for use on the sports style wheel with the round horn button only.